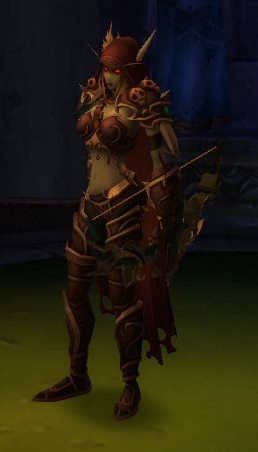 I was thinking the other day about the leaders of the Horde, and our current Warchief. After looking them all over, each has their own reasons for wanting to be in power and has the experience to warrant it. So I thought I’d put down a brief job application for each of the six leaders and what they would have said to Thrall if they had applied for the job of Warchief. Enjoy this humourous representation of what I think the different people would say. 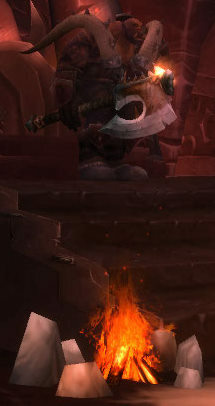 Race: DID YOU NOT SEE MANLY ORC? References: Greatmother Geyah. Don’t talk to Mor’ghor. 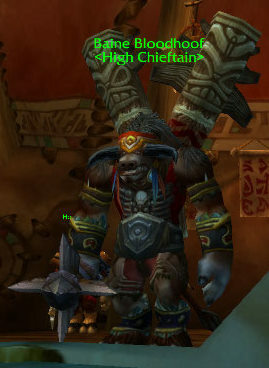 My Dad was Grom Hellscream! That counts for something, right? Hey, how did Magatha’s name get on here?! Experience: Running Warsong Hold with the “help” of Saurfang. Smashing things with Gorehowl. Cleaving things with Gorehowl. Beating more things with Gorehowl. Oh, is that a basic campfire? So pretty… er, um, I like beating things. Good history of arguing for the sake of arguing. Lack of foresight. Dueling. References: My father’s legacy, and I’m sure Magatha will attest to my battle prowess. Experience: Not being Garrosh Hellscream. Having honour. Running Bloodhoof Village for many years while my father was leading our people. 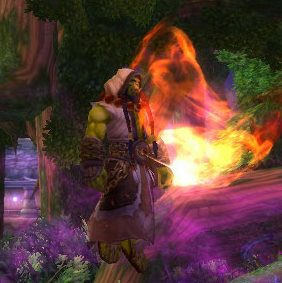 Battle experience notably includes taking back Thunder Bluff from traitors. Do you want to see the dents in my totem from those pummeled by it? 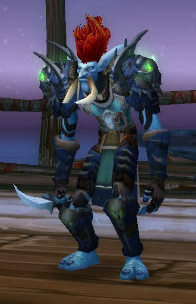 References: There’s a few Val’kyr here who will be willing to say how awesome I am. Oh, and an entire nation of followers. Experience: Leading formerly enthralled minions of the Lich King under one banner to oppose him. Helping kill Arthas through the various parts of Icecrown Citadel. Destroying many enemies while in the Rangers. Not making plague (*coughs*). References: Afta’ Bwonsamdi blessed de Darkspears, I be sure he happy wit’ me. Thrall be me brudda in arms. Experience: Leading da Trolls away from massacre of da Gurubashi. Kickin’ heathen Trolls out of Zul’Aman. Emissary to other Troll tribes. 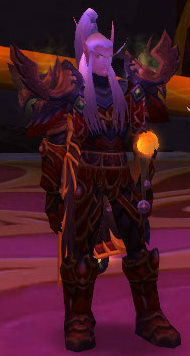 Loyal member o’ da Horde since we came to Kalimdor. Lay down a beat, and I be de masta’ dancah! Experience: Looking good while doing anything, or nothing. 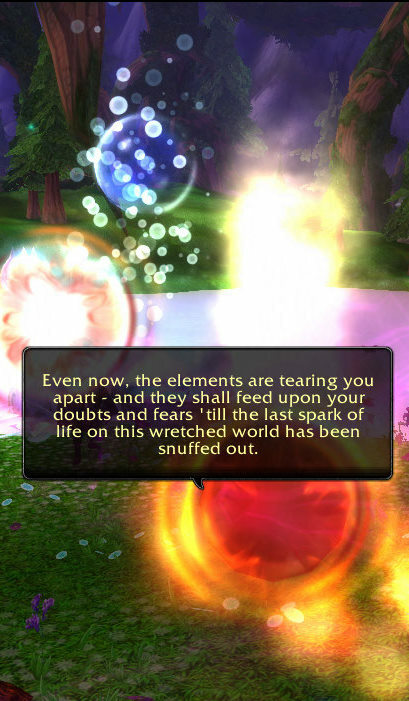 Standing around in Silvermoon for the past few years. I look amazing. My hair looks fabulous. References: Ask any Goblin, they’ll know what to say. YOU KNOW WHAT TO SAY OR YOU’LL PAY! Experience: Swindling the life savings out of a brazen young upstart who wants my job. Hostile takeovers. Insulting others, especially people who want my job or Gnomes. Being the best at everything… except sailing, I guess.